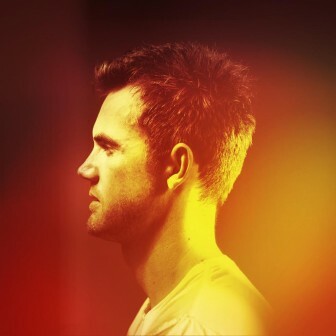 Raised on country, folk and blues in Palm Springs, California, Tyler Hilton honed his versatile, grit-strength vocals in club gigs and coffee shops before taking off for Los Angeles when his original music onstage was overshadowed by the cover songs he played to make an early buck. With a pair of previous rock-n-roll albums to his credit, the LA-based singer/songwriter and actor (Extant, One Tree Hill, Walk The Line) gives a nod to his early days with his newest effort Indian Summer. Hilton hits all the high points as well as the low on Indian Summer; ballads, love songs, and the bittersweet in equal measure, starting with the melodic opener “One More Song”. Hilton carries a blue-collar accessibility to his music, singing and strumming his acoustic with the earnestness of one working for the weekend and living out every minute of it before the Monday grind arrives. With Indian Summer, Hilton admitted he wanted to make a country album that felt like summer camp – and the 10-song offering is coming-of-age Americana inspired by Hilton’s own life – be it the sun-soaked feel-good numbers “That Kind of Night” and “Give Me That Summer”, or the pang of love and days gone by in the album’s lead single “Indian Summer” – no matter where you grew up, everyone has lived that song at some point in their lives. A plucky newcomer wrests with the romanticism of opportunity in “California” before deciding the grass isn’t so green as originally thought, giving way to the guitar/banjo/piano ballad “Just Might Be Tonight”, the just-right dose of nostalgia in the fading light of summer. While most may recognize Hilton from his portrayal as idol Elvis Presley in the Johnny Cash biopic Walk The Line, he more than holds his own in the ring of today’s singer-songwriters as he does covering the King. And for that, Tyler Hilton, we thank you, thank you very much. To pick up ‘Indian Summer’ on vinyl or CD, click here. For download on iTunes, click here.